We are customer care specialists. Our experts offer fast refrigerator repair in Lodi, New Jersey. Customer service is not about us, it is about you. We rely on respected skills and know-how to provide quality results. Our crew is attentive to every detail. We do the job right and in a timely manner. Call us to fix the kitchen appliance effectively. We are focused on providing the best fridge se rvice possible. You could go a day without your dishwasher, microwave, washer or dryer. However, you should not go without your fridge or freezer. These units are needed to keep your food safe to eat. We will hurry out to fix any appliance, but refrigerator service receives priority. We carry plenty of thermostats, switches, and seals in our truck. In addition, we stock a variety of compressors, motors, and other spare parts. Our fridge technician in Lodi is always ready to do the job quickly and effectively. Our technicians will fix all types of freezers and fridges. We offer trusted fridge repair on all models. 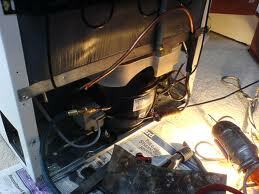 We will repair old appliances and those using the latest technology. Our experts are qualified to work on all brands. We are confident in our crew. We are so confident that we offer a customer satisfaction guarantee. Your refrigeration units work hard. Appliance Repair Lodi NJ promises to work even harder to keep them working right for you. We are proud to employ proud professionals that care about your appliances. Our staff will always treat you with honesty, respect, and dignity. We promise to be as friendly and helpful. Give your appliances the best care possible. Turn to us for Lodi refrigerator repair you can depend on. You can count on us to be there when you need us the most.